Once you’ve registered and paid for this event by going to EventBrite, don’t forget to fill in the fields below so that we can make sure that you get the most out of your visit. Do you have any specific dietary requirements? We are bringing together digital print experts and digital print success stories from the creative industry to create a panel that can answer your questions and share their knowledge and expertise. The Department for Culture, Media and Sports reports that the growth of the UKs creative industries continues to outperform the economy, up 10% in the last year, and the design sector shows the fastest growth of all. On Tuesday 13th November, we’ll be holding an open day at our Woking print bureau where attendees will meet and be shown examples of people forging the way in this growing market. Here, photographers, illustrators, artists and interior designers will learn how developing digital print technologies have created new opportunities for their business. The open panel sessions will allow visitors to ask all the questions they’ve been dying to ask and the break-out sessions in the morning and afternoon will give time to see printed product and hardware demonstrations and spend time sharing thoughts and ideas with other visitors. Lunch will be provided plus we’ll be cutting the ribbon on the brand new digitally printed interiors section of our print showroom. Book tickets for our Open Day at EventBrite by clicking below. At Colyer-Repropoint we are devoted to creating high quality traditional photography display items such as canvases and photobooks through our brand Aperture Books. 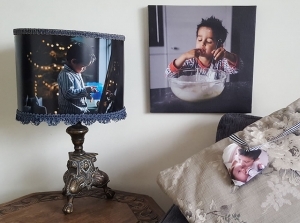 Come and see the Aperture Books team at work and discover how you could digitally print your photographs onto an array of exciting products to help grow your business. Take time to chat with other photographers to share ideas and discuss collaboration with interior designers to get your photography out there. 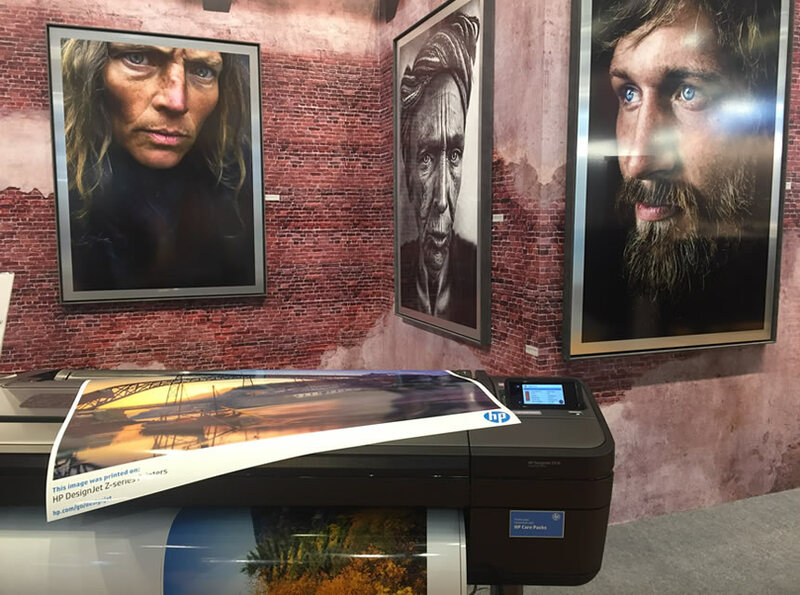 At Colyer-Repropoint we have invested heavily in graphics print technology, so we can ensure that whether printing or scanning your work, it looks just as good as the original. Come and see how you could digitally print your designs onto an array of exciting products to help grow your business. Take time to chat with other illustrators and artists to share ideas and discuss collaboration with interior designers to get your art out there. At Colyer-Repropoint we are acutely aware of the potential that the interiors market has to offer and understand how digital print fits into this sector. Come and see how digital printing and scanning works and what’s possible with the vast array of medias and finishes that are available. Take time to reach out to artists, illustrators and photographers whose art and designs your customers will love. The open day will be held on Tuesday 13th November 2018 beginning at 10:00am and finishing at 15:30pm. The day will be split into two so people can come for a morning or afternoon session or stay for the whole day if they wish. The full agenda for the day is below. Please email Sophie Goodall at sophie.goodall@repropoint.com or call us on 0207 209 5618 if you have any questions.. 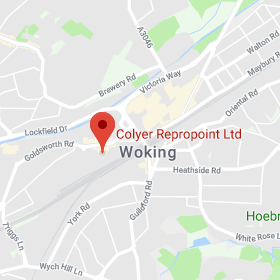 The open day will be held at the Woking branch of Colyer-Repropoint. The address is 15 Poole Road, Woking, GU21 6BB. Woking train station is an 8minute walk away. There is a small amount of parking outside the venue and on the surrounding roads. The nearest public car park is at Woking Shopping Centre or there is pay and display on Goldsworth Road which is a five minute walk from the branch. Please email Sophie Goodall at sophie.goodall@repropoint.com or call us on 0207 209 5618 if you have any questions. The cost for this day will be £5 per person payable on registration. Please email Sophie Goodall at sophie.goodall@repropoint.com or call us on 0207 209 5618 if you have any questions. A free lunch will be provided in the middle of the day. Please either leave a note on the registration page or contact Sophie Goodall at sophie.goodall@repropoint.com or on 0207 209 5618 to notify us of any specific dietary requirements. 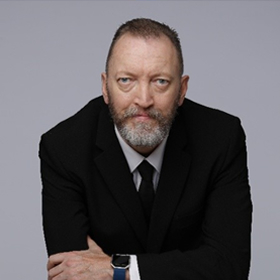 With 15 years experience working in sales and marketing for some very well-known digital print manufacturers, Colin is well placed to share his knowledge and experience of the digital print market, how it has changed and what it can offer todays creative businesses. 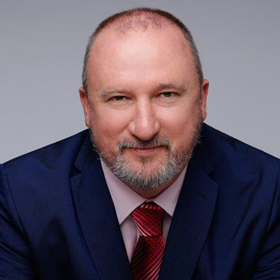 Bruce has worked in the digital print industry for 20 years gaining specialist technical knowledge of digital printing processes by working for reseller, distributors and manufacturers alike. His knowledge of wide format digitally printed graphics is broad and in more recent times has seen him working within the digitally printed textiles market. Charlie has been working within the digital print industry for 20 years, the majority of this for large manufacturers. 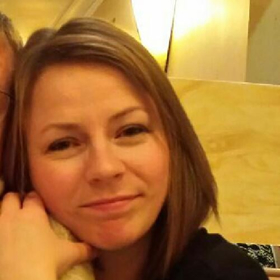 She now specialises in the development and supply of medias suitable for digital graphics printers. 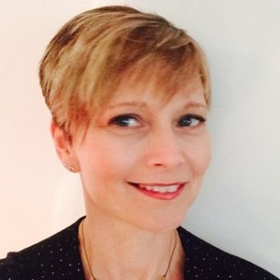 Christine, Colyer-Repropoint’s Workflow Manager extraordinaire, has been with them for 16 years. In that time she has worked in every part of production which means she knows how to manage print production and create beautiful print with her eyes shut. Whether you’d like to know what you can create with your own printer or how we can help you produce brilliant printed products, Christine is a fountain of knowledge (and youth!). 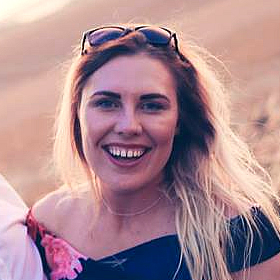 Whilst studying at De Montfort University, Charlotte set up her own photography business focusing on fashion and still life photography. 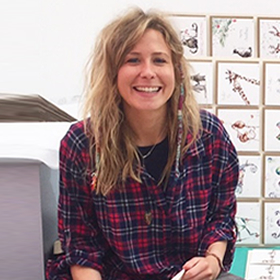 She graduated in July 2014 in Media and Coms and continues with her photography work whilst also working as Workflow Development Manager and all-round creative genius for one of the largest large format printer distributors in the UK. 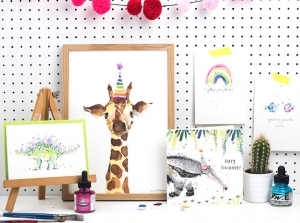 Louise heads up a family run Card Publishing business whose products are now stocked in more than 400 independent UK shops as well as working with nationwide accounts like Paperchase and John Lewis and exporting to seven different countries. 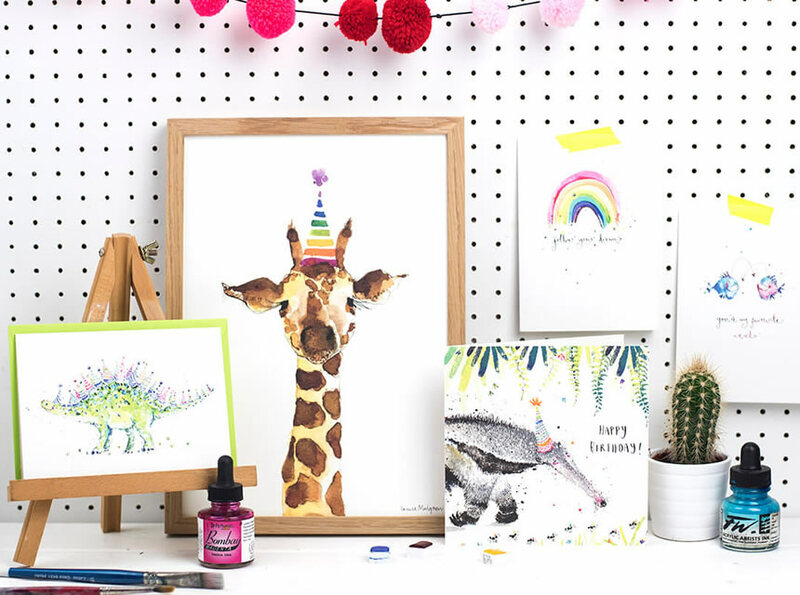 Louise takes her inspiration from the animal kingdom and uses colourful inky washes, intricate line-work and playful mark-making to create whimsical, happy, quirky characters that are colourful and on-trend.